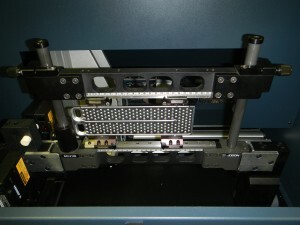 The premier gauging system for determining “Percent Bulk Light Transmission” for louvered fins used in heat exchangers. 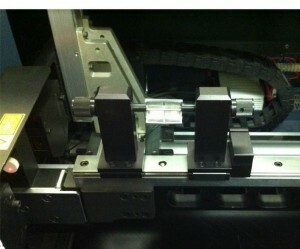 This system is ideal for tracking wear on forming rolls for fin mills, as well as providing timing data. If you are experiencing fin performance issues, this is the gauge that can help identify where the problem is. The graphical representations included with this platform will accurately reveal the true profile of your fin strip, showing whether or not you can expect a good braze, and where the problems lie. Regardless of what type of tube you employ in your heat-exchanger design, this gauging system can show you whether or not it is being manufactured correctly. Flattened round tubes, square tubes, “B” tubes, multi-port tubes, welded or non welded tubes, and extruded tubes are all readily gauged on this equipment. 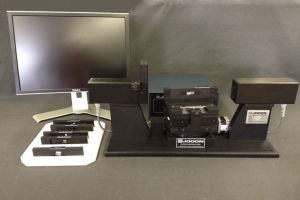 This system utilizes the CPS-2000 platform to precisely measure each individual louver in a fin samle. 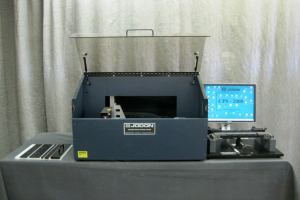 This system accurately identifies and measures louver twist and angle for any given sample. 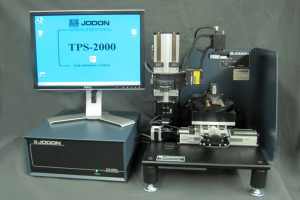 The PPS sub-system utilizes the CPS-2000 platform to precisely measure stamped plates used in heat exchangers. This system profiles and measures many features of the plates including cups, beads, and rails and then displays the results in graphical formats that makes understanding where features are out of specification easy.